On Monday, March 9, Iowa Governor Terry Branstad signed a Proclamation declaring March 18, 2015, “I Grew Up Country Day” – in Iowa and wherever food is produced. Haven’t heard of “I Grew Up Country”? Let alone a day to celebrate it? Not surprising. The day and the concept are brand new, the brainchild of fellow author Shirley Hershey Showalter and myself. 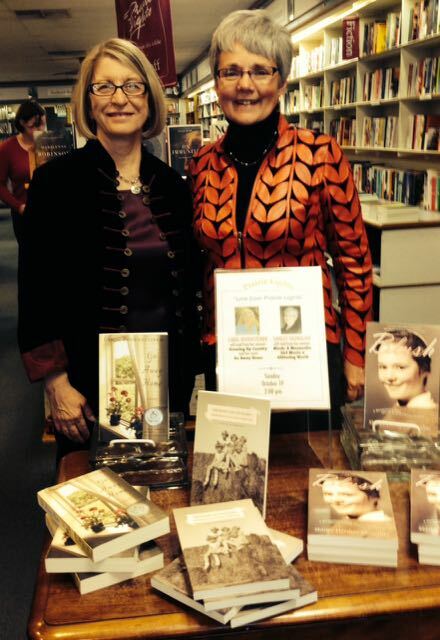 Last fall, Shirley and I shared the podium for a reading from our memoirs at Prairie Lights Bookstore in Iowa City. Afterwards, over a latte, we discussed the fact that every time we shared our own stories about growing up on farms in the 1950s, people were eager to step up and tell us their stories. Prairie Lights Bookstore – where “I Grew Up Country” began. 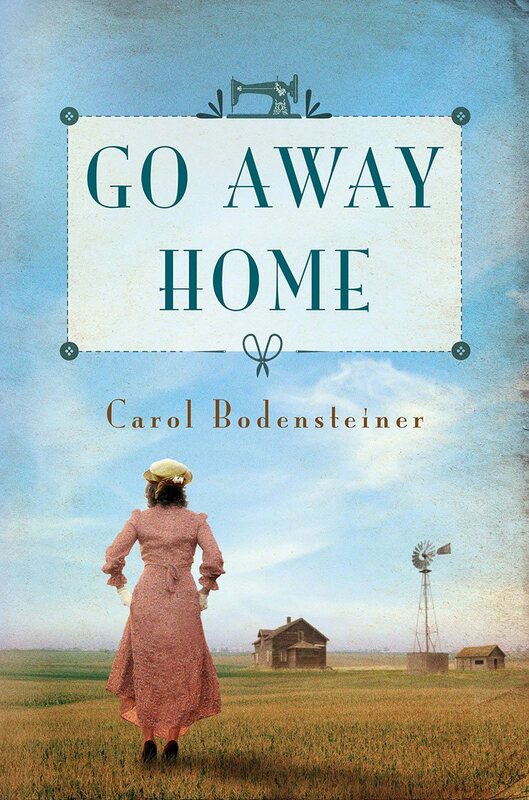 Readers of my memoir Growing Up Country told me the stories made them think of their own growing up years; they also told me reading these simple stories made their own lives and their memories more important somehow. 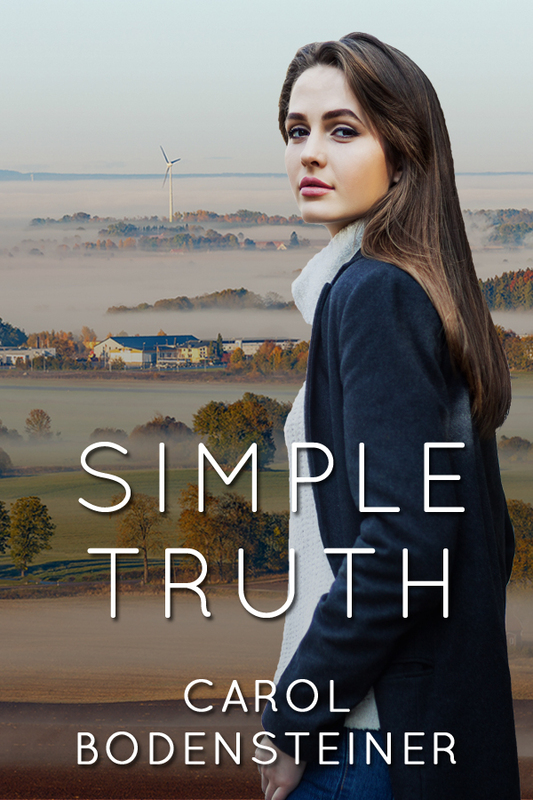 Shirley heard from people who read her memoir Blush and remembered butchering day, baling hay, milking cows, swimming in farm ponds, and downing food from tables loaded with fresh produce, meats, and homemade desserts. We agreed we needed a place for all these people to find each other, to share their stories, to take pride in their collective appreciation for the country way of life. The seed of an idea began to germinate. Over the weeks it took root, and this month, Shirley and I are kicking off “I Grew Up Country,” an initiative to encourage, collect, and celebrate stories of growing up country. 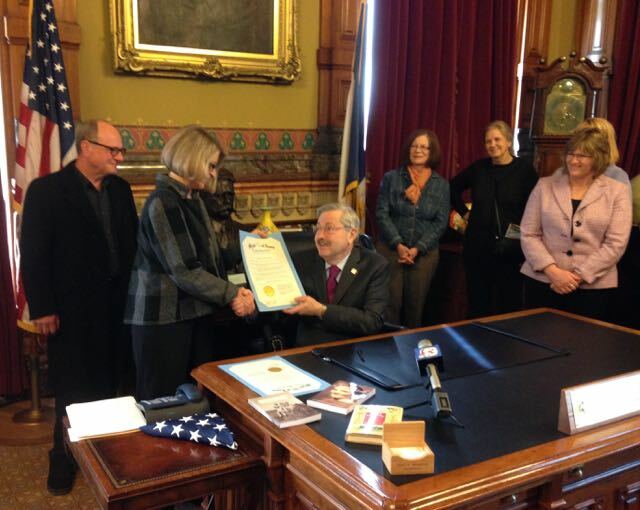 Governor Branstad had the convening power to draw attention to the initiative by signing the Proclamation. Millie Kalish, author of critically-acclaimed, New York Times-reviewed Little Heathens: Hard Times and High Spirits on an Iowa Farm During the Great Depression joined our effort, bringing star power and high energy to the effort. A new “I Grew Up Country” Facebook page provides a platform for people to interact and share their stories. To find it, just type in the name or click here. Media interviews and social media outreach will help spread the word. She even suggested a few answers, which brought smiles of recognition from Shirley and me. Here’s Millie’s contribution to start us off. Leave a message here and click on over to Facebook to meet other country folks and share your stories there. And, please, spread this news to anyone you know who grew up country. This is so impressive. Well done, Carol! Thanks, David. A new adventure and as with all adventures, who knows where it will go? I wish I had been as fortunate as you and Shirley. I didn’t grow up country; rather, Communism in Ukraine stole my grandparents’ land from them and left them as destitute refugees. How fortunate you two were. But we all have our own stories. Not all growing country stories are as positive as Shirley and I are fortunate to enjoy. But all the stories – good and bad – deserve to be honored. I hope you or someone in your family is capturing your grandparents’ story, Elfrieda. It should not be lost. I grew up country from head to toe. My family farmed in Decatur County, Iowa we milked cows and farmed and had horses to work the cattle with which is a thing of the past now.. I wouldn’t trade my life, I experienced more then most people could imagine and you where instilled with the memories good and bad but you always knew that you would make it through. Thanks for stopping by and joining the celebration, Cindy. I agree with you; growing up country we learned a lot: the value of hard work, the ability to work independently and together, entrepreneurism, the importance of family and neighbors. 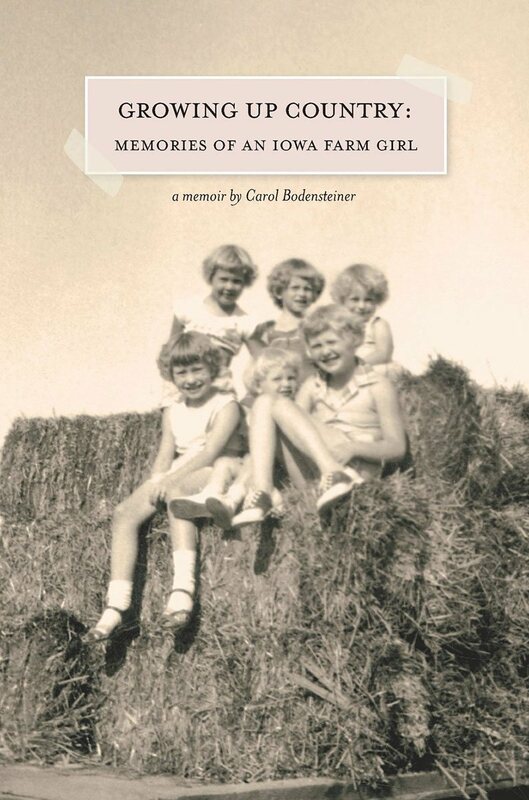 I loved “growing up country” so much that we compiled a book with stories from 158 people, representing every graduating class from Rembrandt, Iowa, from the mid-1920s until it closed in 1979, as the smallest school in Iowa. We said, “Write anything you want about growing up on a farm or a small town and going to a small school.” Rembrandt’s population is approximately 220. The book “Rembrandt Remembers” is in many libraries in Iowa, including almost every college and university. (It’s no longer in print). There are some great quotes and pictures from the book at http://www.Rembrandtschool.com. There are also some wonderful articles on the Alumni News page. You can even listen to the Rembrandt Alumni Band playing at their yearly concert (2014) on YouTube. [Or get there by going to the Alumni News page and scrolling down]. Both the book and the website are there for people to enjoy. What a great project, Helene. This is exactly the kind of story telling Shirley and I hope to come out of I Grew Up Country. I can imagine that the stories in “Rembrandt Remembers” present an intriguing across-the-years look at country life in the Rembrandt area. I’ll look for the book in our library. Thanks for sharing with all of us. Feel free to put my paragraph on your Facebook page. I’m a little uncomfortable joining your public group, because I only use my Facebook for my kids, grandkids, and siblings. They’re sensitive to privacy issues, especially with pictures of two cute little girls! Thanks. I understand, Helene. Thanks for letting us share your comments here over there. I am SO grateful for having grown up in the country: taking walks to and through our woods, bringing in the cows for milking, driving the tractor to rake hay, mowing the lawn and being by myself. Maybe that’s why I’m an introvert? Then as an adult living in the Shenandoah Valley and being able to see the mountains of the Blue Ridge and Shenandoah, the night sky, enjoy birds, owls, foxes, deer…what a privilege! Having a huge garden, a wood-burning stove – these are all things I miss now that I live in a retirement village. I continue to be grateful for my growing up years in the country – on a farm. Thanks for sharing your two very different views of the country, Shirley. You’re fortunate to have had opportunities to store up so many wonderful memories for this time in your life. I’m glad you could help us celebrate. A terrific story, Jeannie. What a coincidence that you all are from the same town – and what a treat that your mother and Millie could get together to share their stories. I’ve only had the pleasure of talking with Millie on the phone. 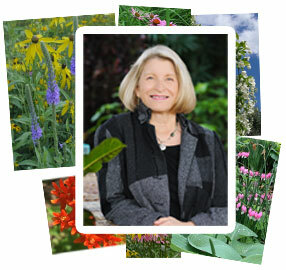 She has a great sense of humor and still delights in telling stories and getting others to tell theirs. She turned 93 in March. I hope you’ll drop in at IGrewUpCountry.com – the Facebook page we set up to let those with country memories share their stories. People would enjoy hearing from you.